Interested In Public Speaking? Don’t Miss This Event!!! This is a special exclusive offer for THE FIRST 6 REGISTRANTS! My good friend Rob Clinton and I have been to the Speak It Forward Boot Camp and LOVED it! It’s not only good to learn about speaking, it’s an amazing entrepreneur course on how to launch and market your business. That’s why we’re going again and want to encourage you to join us. So, here’s what we’re doing to make the event extra special for you. Rob and I are going to meet with whoever signs up with us (limited to 6 people) on Wednesday night May 16th, for a pre-conference mastermind group. Then, we’ll attend the boot camp together.And here’s one more thing…we’ve talked to our buddy Kent and he’s agreed to be at an exclusive dinner guest on, Thursday night with just our little group. How cool is that! 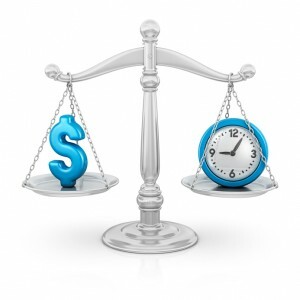 This boot camp will provide you extraordinary results once you apply it! It will make you money, but yet it’s more than just about making money, it’s an inside out process to help you clarify your message, identify your audience, sharpen your presentation skills, and tell the world what they’re missing if they don’t book you to speak. If you feel like you have a message to share, or if you have a desire to be a public speaker, make this investment in yourself, your future audience deserves to hear you speak about something you are passionate about. Put some BIG X’s on May 17-18, 2012, on your calendar, make plans to spend those days in beautiful Atlanta,GA.investing in YOU! TO JOIN THE FUN, CLICK HERE NOW! Inside Tip On A Great Investment!!! I just sent my registration in for an investment in myself that I know will produce extraordinary results. 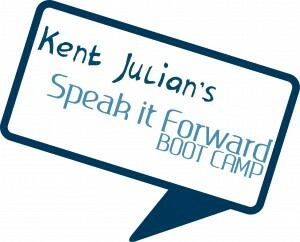 It’s Kent Julian’s Speak It Forward Boot Camp (affiliate link) for all those aspiring to make a profit from speaking. This boot camp is about more than just making money, it’s an inside out process to help you clarify your message, identify your audience, sharpen your presentation skills, and tell the world what they’re missing if they don’t book you to speak. The reason I can recommend this so confidently, is because I have personally attend this fantastic event the last two years, and I will be attending again this year. The first year I attended I had never spoken publicly, other than teaching a class at church…all I knew was that I had a message to share, and a desire to speak professionally. Since attending Kent’s Boot Camp the first time, I have been able to really hone in on a message that I am truly passionate about , identify my best audience, and have been following a step by step process to market myself and my message to the people that need to hear it most. It’s amazing how much easier it has been to get booked to speak, just by following Kent’s proven steps to begin speaking for profit. If you feel like you have a message to share, and you have a desire to be a public speaker, make this investment in yourself, your future audience deserves to hear you speak about something you are passionate about. Put some BIG X’s on October 13, 14, 15 2011, on your calender, make plans to spend those days in beautiful Atlanta, GA. investing in your life, to bring the message God put in your heart to a world that’s waiting to hear it. It’s just one more way we can be more Intentional about our Legacy.